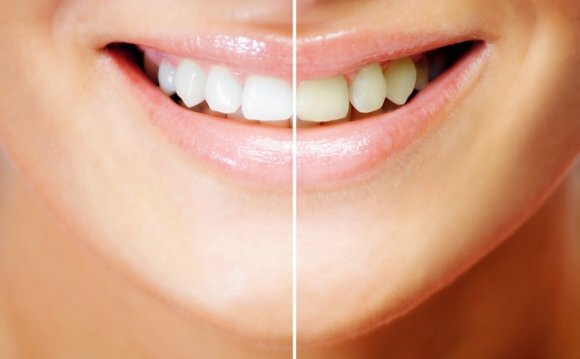 Ever wonder what the difference is between at-home and professional teeth whitening? And more importantly, is it safe to whiten your teeth at home? I had a chat with Gold Coast Consultant Dentist Dr. Rachel Pino, who shed some light on the subject. According to Dr. Pino, it’s definitely safe, as long as you follow all instructions and don’t try to cut corners. “Remember though, you’re dealing with bleach, ” she warns. It’s a toxic substance and if not used correctly it can cause severe side effects, ” she warns. Think: gum burn, gum irritation, irritation of the oesophagus and even distension of the stomach. At-home whitening kits will never take your teeth as white as the dentist can, so don’t expect to get brilliant pearly whites after just one application. On the other hand, in chair whitening can be achieved in less than one hour, and the results are instant. That sounds really convenient, but it is more expensive (most treatments are between $700 and $1000, depending on your dentist and the formula used) and you will have greater sensitivity, like a zing sensation, which wears off after about three days. You also have to follow a white diet for three days afterwards, avoiding tea, coffee, red wine, curry, beetroot and anything that can potentially stain the teeth. “Your teeth become quite porous from the bleach used and will absorb colour very quickly for a few days after treatment, ” says Dr. Pino. On the other hand, at-home kits have a lower level of activating ingredients, so they won’t cause as much sensitivity. They are available at varying levels, too. Firstly, there is the kind that your dentist will supply. From there, you have your basic whitening toothpastes, which are very mild and really only keep your teeth bright. “These only contain around three per cent active ingredients, ” says Dr. Pino. They’re great for a maintenance program, so for someone who suffers really bad sensitivity.